Depending on your topic, you may be required to find primary resources. 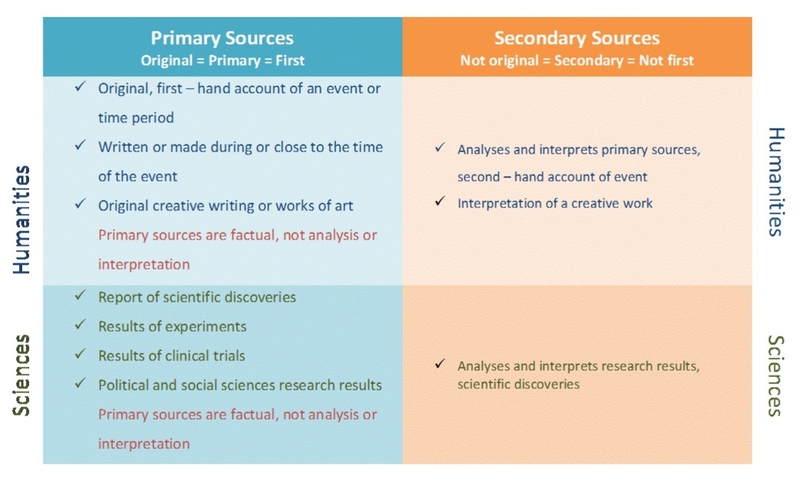 What makes a primary resource is different for the humanities and sciences, and sometimes they can be tricky to find, so please do not hesitate to ask for help if you need it. What is a Primary Resource? Click the link for the type of source you are looking for, e.g., "diaries." The link will open a catalog screen. In the search box, after "d:(diaries)," type "and" and a term to narrow your search. Names of people or broad subject terms work best, e.g., "d:(diaries) and civil war" (see below). Click Search. The resulting list of items should include books that provide primary sources for your topic. These are some databases that may contain useful information. There are several websites that offer access to primary resources. Here are a few that we've found helpful. Contains primary sources documenting American social history from the antebellum period through reconstruction. Hosted by University of Richmond, this provides full-text of the Daily Dispatch for the Civil War years in an on-going digitization project as well as a brief Civil War period history and chronology.